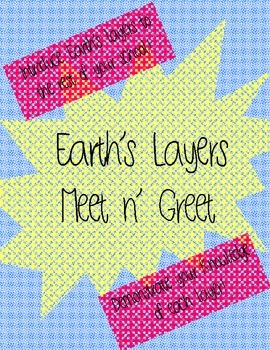 I used this activity to introduce the topic of Earth's layers to my 6th grade gifted students. It could be used in elementary school as a summative assessment as well. Students made the name tags colorful and then I laminated one nametag of their choice. We punched holes in the name tags and used yarn to make necklaces so students could wear them around the school- they LOVED it!!! 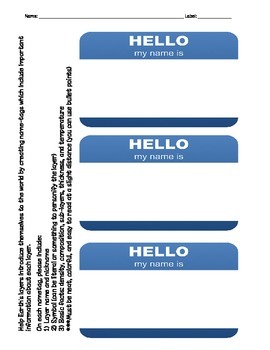 Obviously, if you can afford enough name tags for all of your students, it would be ideal to use the real thing. You can require more or less information for students in order to differentiate based on grade or ability level. You could also have students only complete one, then take notes on the other layers as they talk to them during a "meet n' greet" session as a great introductory activity. Created by MsParadise, September 2013.